There have been a number of core themes running through the chapters of this book; sometimes they have been conspicuous, less so at other points in the discussion. It might be helpful to pull out those themes and examine them in the context of debate and analysis about the possible future of family life. 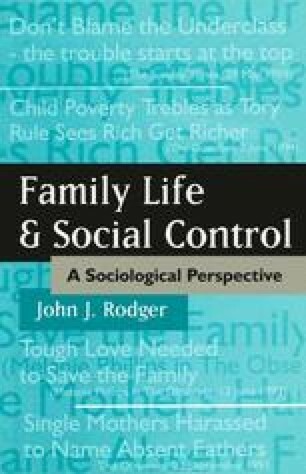 The central theme has been that family life is a focus for welfare intervention and public political debate in a number of key areas which Chapters 3 to 7 have identified and examined. In order to explore that theme we have discussed prominent and influential theoretical perspectives, paying particular attention to the most influential theoretical paradigms informing the work of professional practitioners and social analysts of family life in Chapters 1 and 2, and used those theoretical ideas to guide us to a sociological understanding of a range of issues such as divorce, the moral politics of caring, family policy, family deviance and marginality, and child abuse which have stimulated public political debate and innovation in social policy in recent years.